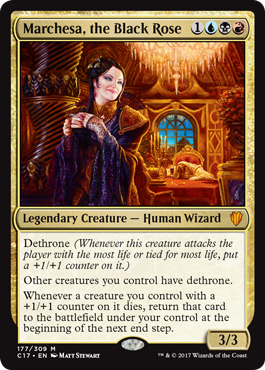 Commander (2017 Edition) spoiler week marches forward with Wizards, one of the most iconic tribes in Magic: the Gathering. 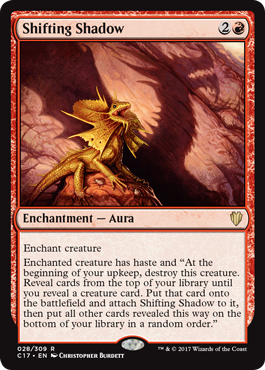 Check out more C17 spoilers with Cats (Day 1), Dragons (Day 2) and Vampires (Day 3). 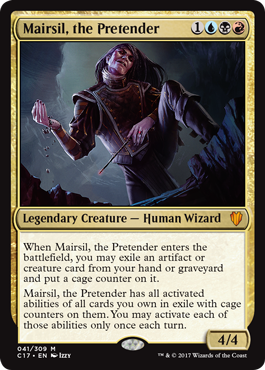 This time around, we’ve got some intriguing new commanders that will certainly get brewers thinking (Mairsil, the Pretender is just nuts…). 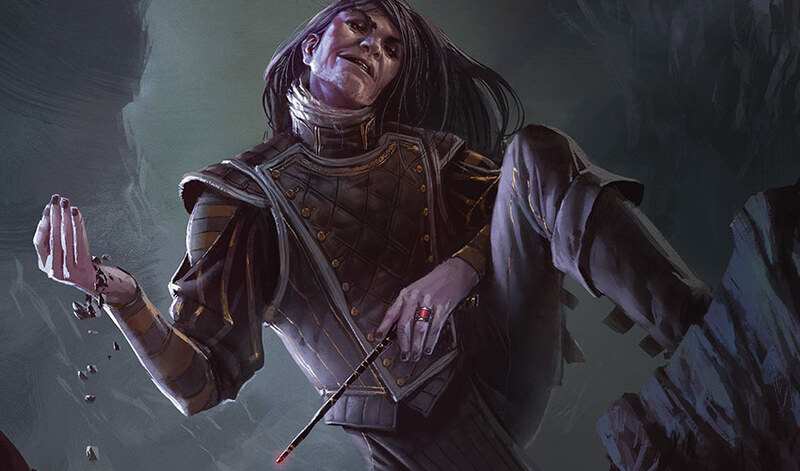 We’ve also got a couple great reprints in Apprentice Necromancer and Marchesa, the Black Rose. There are two cards I find more interesting, however. 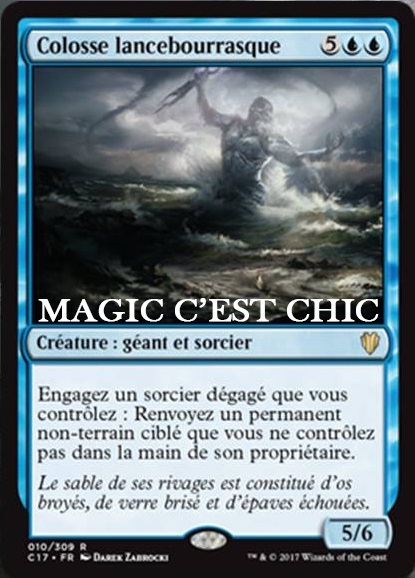 The first is Kindred Boon, an enchantment that for only 1W will put a divinity counter on a creature, and make all creatures with divinity counters indestructible. This kind of powerful ability requires a pretty quick answer. That’s particularly true when you remember that this ability is a call back—and interacts directly with—the Kamigawa gods. 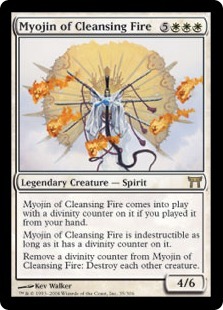 If both the Boon and Myojin of Cleansing Fire remain on the board, for example, you’ll be wiping the board at will for 1W. 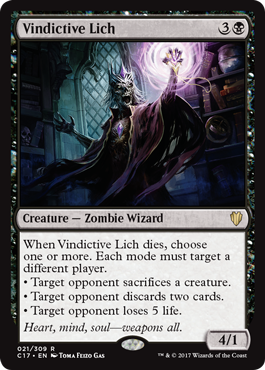 The second card I’d like to mention is Vindictive Lich, a black Zombie Wizard that provides a lot of value. 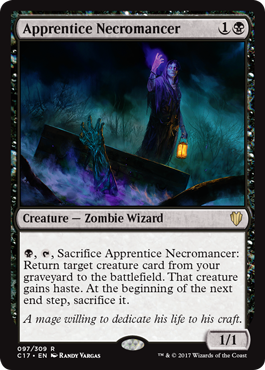 On death, you may choose to have target opponent sacrifice a creature, discard two cards or lose 5 life. Not only do you get to choose, but you get to direct each mode at a different opponent. 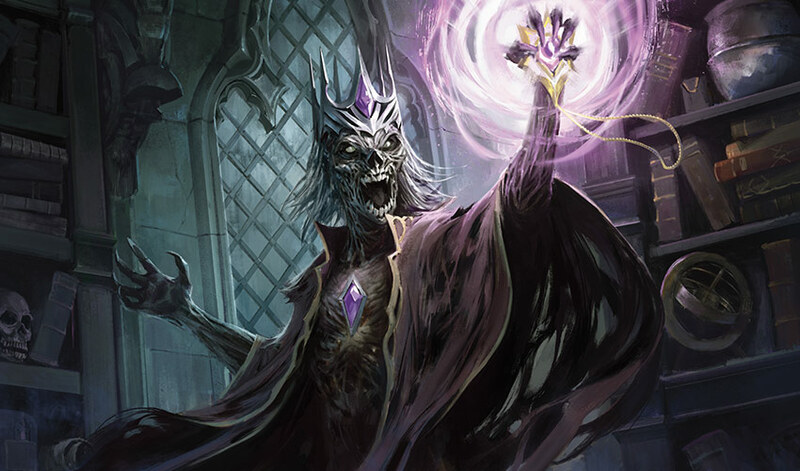 Vindictive Lich comes with all of that for only four mana, which makes it an excellent include in Meren of Clan Nel Toth decks. As a 4/1, the Lich can also get some damage in (who wants to trade with this thing? ); and add Skullclamp for some excellent, repeatable effects. B, T, Sacrifice ~: Return target creature card from your graveyard to the battlefield. That creature gains haste. At the beginning of the next end step, sacrifice it. Flavor text: A mage willing to dedicate his life to his craft. 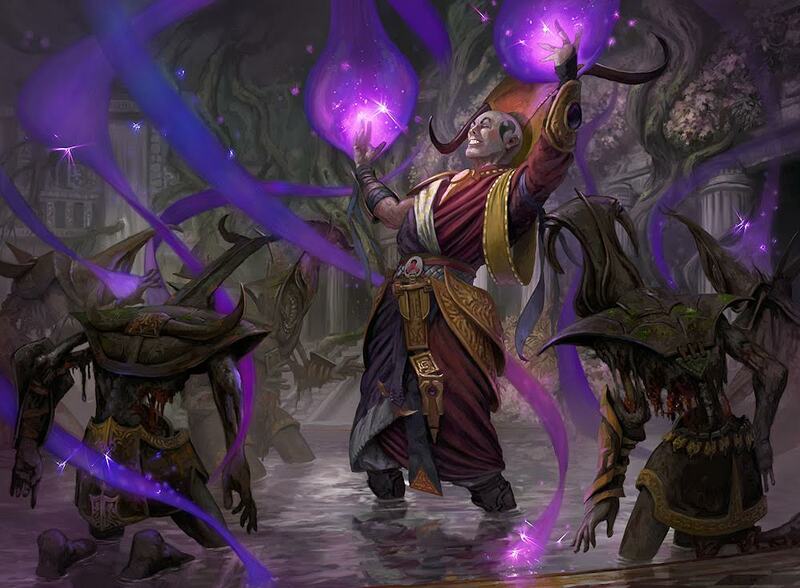 Tap an untapped Wizard you control: Return target nonland permanent you don’t control to its owner’s hand. Flavor text: The sand of its shores is made from crushed bones, shattered glass, and stranded wrecks. UPDATE 8/11/2017: Corrected originally posted English name from Gate Mage to Portal Mage. 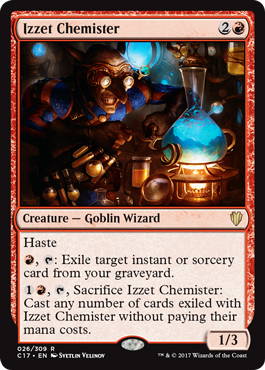 R, T: Exile target instant or sorcery card from your graveyard. 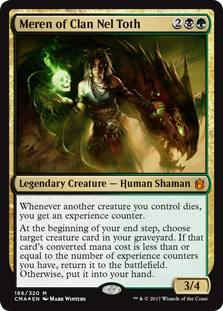 1R, T, Sacrifice ~: Cast any number of cards exiled with ~ without paying their mana costs. Whenever ~ deals combat damage to a player, that player exiles a card from his or her hand face down. You may look at and play cards exiled with ~. When ~ enters the battlefield, chose a creature type. 1W: Put a divinity counter on target creature you control with the chosen creature type. All creatures you control with a divinity counter are indestructible. 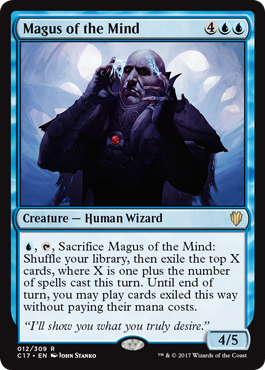 U, T, Sacrifice ~: Shuffle your library, then exile the top X cards, where X is one plus the number of spells cast this turn. Until end of turn, you may play cards exiled this way without paying their mana costs. 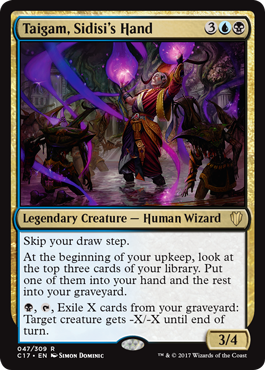 When ~ enters the battlefield, you may exile target artifact or creature card from your hand or graveyard and put a cage counter on it. ~ has all activated abilities of all cards you own in exile with cage counters on them. You may activate each of those abilities only once each turn. 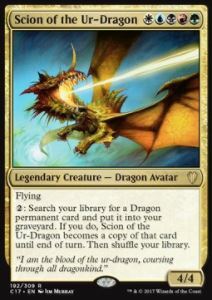 2: Search your library for a Dragon permanent card and put it into your graveyard. If you do, ~ becomes a copy of that card until end of turn. Then shuffle your library. 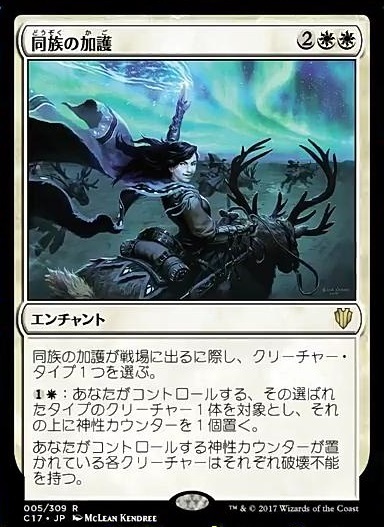 B, T, Exile X cards from your graveyard: Target creature gets -X/-X until end of turn. When ~ dies, choose one or more. Each mode must target a different player. * Target opponent sacrifices a creature. * Target opponent discards two cards. * Target opponent loses 5 life. 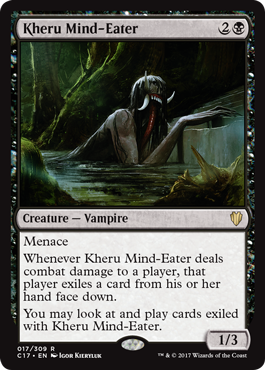 Flavor text: Heart, mind, soul—weapons all.